This is the hardest post I have had to write to date. I have written several different versions of it in my head but always hoping for a certain outcome. I have started it several times only to delete it once I'm finished. I have contemplated not writing about it at all and to just bury it inside me. So I had to search deep inside my soul as to why I am posting about this on the world wide web for the entire world to see. Is it because I want sympathy? No. Is it because it's part of my grieving and healing process? Somewhat. But the real reason I am telling you about this is because I want people to know about Elijah Damaris. I want everyone to know that he/she existed. I want you to know about the child we lost. 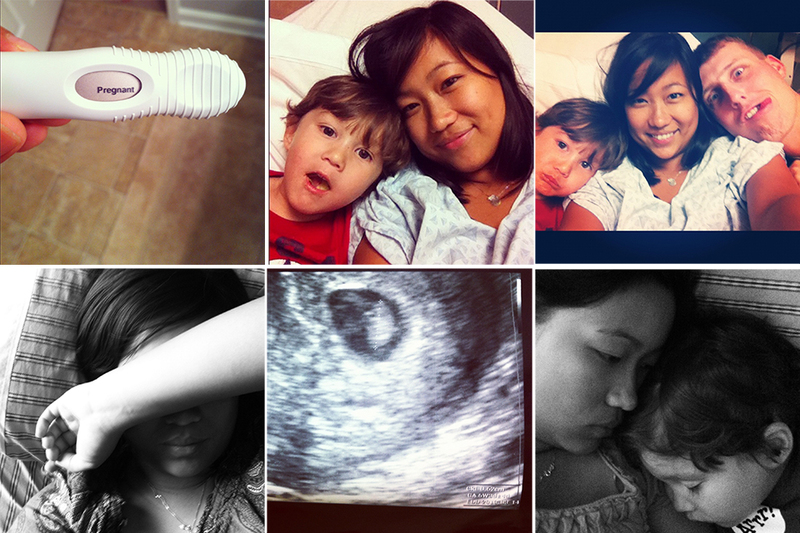 On July 15th, I took a pregnancy test which revealed that we were expecting our second child. My husband and I laughed and rejoiced at the fact that we may be the most fertile couple in the world---we got pregnant at the first month of trying again. However, this excitement was also coupled with worrisome because I have been spotting for two weeks prior. I initially thought it was just the beginning of my period. But even for me who has a longer cycle than most women, spotting is not normal (which prompted me to take the pregnancy test). A blood test for human-hCg was done the next day and it was indeed positive. On the 17th, the bleeding increased and I was supposed to leave for Indiana that Friday. I started the new employee orientation at my new job (17th-19th) and had no time to see the OB doctor during regular hours. I did not want to wait until we got back from Indiana either (two weeks later) so we went to the ER. Spotting happens to 25-30% of women during first trimester; and of those women, 50% ends up having a miscarriage. After seeing my OB on the 23rd, she said there is a high possibility that I was one of those 50%. A follow up human-hCg blood test showed increased levels (19,000 to 24,000) but not enough (it should have tripled since the last week). Another ultrasound showed an encased 6 weeks, 3 days baby but with only 93 heart beats/min (we want at least 110s). The OB highly suggested I cancel my already postponed Indy vacation especially since it will just be me and Nathaniel driving in case something horrible happens. I was scheduled to come back for another ultrasound a week later. We were praying for a baby who has tripled in growth (baby was 0.62cm) and with a strong, faster heart beat. But God had a different plan. The next day on the 25th, I started bleeding bright red blood. All day, cramps from both my back and front were constant and had worsened. And that evening, our worse nightmare began. Miscarriage was obvious and inevitable. I was advised by the on-call OB to go to the ER if bleeding doesn't stop after a few hours or pain becomes unbearable. Otherwise, I can wait until the next morning to see my OB. The next day at the OB office, my uterus on the ultrasound was as empty as my heart. Up to that point, we held dearly to the smallest of hope that this pregnancy will still continue and eventually result to a beautiful, healthy baby in our arms. Instead, it was dark and consisted of nothing. I had passed most of the tissue during the night and all that was left of evidence of this missed pregnancy was the thicken uterus lining. Dr. Thai offered a medication that will fasten the sloughing off of the lining (the process could take weeks) but I declined and opted to let my body take care of itself naturally. You see, no one tells you that miscarriage, like death, is a process. It's not an instantaneous event that happens quickly. I did not know what to feel and found myself distancing from the pregnancy and already expecting the worse in case the worse does happen. And then I felt guilty for giving up when the tiny little baby was fighting so hard to stay with us. And no one tells you either that no amount of distancing can ever prepare a woman for that kind of loss. My husband takes comfort in that God probably loved this soul so very dearly that He did not want to part with it. I take comfort that this soul will not suffer---from the medical treatments he/she may need or from the hurt of the world. Maybe it happened because God wants me and Dean to strengthen our marriage. I do not know the reason nor will I ever know. But whatever it is, whatever is the lesson God wants us to take from this, I am trying to make it well with my soul. For His plans are always, always far greater than my earthly plans. For now, it is not well with my soul. But it will be. It has to be. For I have no room in my heart for hate or despair. We decided to give the baby both a boy and a girl name. Elijah like the prophet, God loved him so much He lifted all of him to heaven without death (2 Kings 2:11). Damaris because she can only be found once in the Bible (Acts 17:34) and we do not know anything about her except she had great faith in Christ (and that's all we need to know). And just like woman of faith, we will never get to know our little baby. Elijah Damaris St. Louis. I know the baby was only seven weeks. I know it was tinier than a lentil bean. But Elijah Damaris had a heart beat. Elijah Damaris existed. And he/she was loved. Nathaniel will know about him/her. Our future children will know that they are supposed to have another brother or sister. Our second child will be remembered. Oh, I am so sorry to hear this, but thanks God for your faith. Whatever happened, God will always be with you. Take care. I'm so sorry you are going through such pain. I'm glad you shared with us do we can better support you. Elijah Damaris will be remembered, loved, and cherished until you meet in eternity. I wish I could bring you some tea or help you in some way. I will be praying for you. Aww. I am so sorry. Thank you for sharing with us. Oh Diana. I'm crying as I read this because I know all too well the heartache of losing a baby that you wanted so badly. 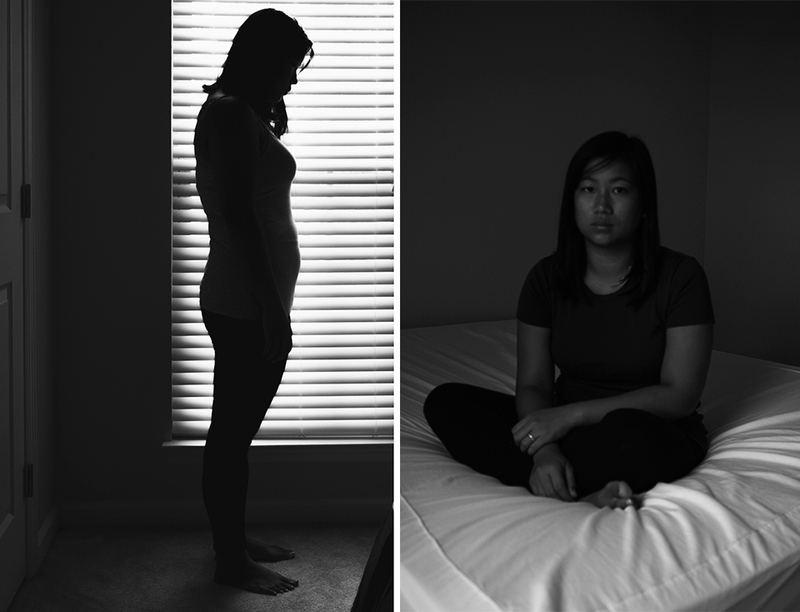 I know the grief and agony that comes with miscarrying. It is HARD and something you do not understand until you go through it. And I'm so very sorry that you are going through it right now. Praying that you will feel comfort from the God that loves you so deeply and loves this baby so incredibly. Sending hugs. I'm sorry to hear about your loss, Lady. :( God has better plans for you and in time, I know you will be okay.. I pray that God embrace you with His loving arms to feel His comfort. Hugs. Lots of them. I am so sorry for your loss! I know the devastation that comes from miscarriages! I had two myself before my three I have now. It was heart wrenching. One thing I know for sure, I will see them again when my time here on earth is over.